Someone once said, “You can’t trust violence.” And, somehow, they said it over a ringing guitar whose notes hung in the air like moonlight caught in diamond prisms. Beneath these static fireflies a low end swam in the slough. And the ones singing sounded like sad angels, if angels can be sad. Or sing. 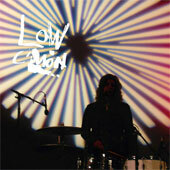 Low’s minimalism has never sounded like some unnatural, self-imposed ethic. Music comes from the heart, says the ideal, and with Low that line bears all evidence of truth. They play their instruments in time with their pulses, their eyes and mouths wide open. Guitar, bass, drums, voice and spirit come as primitively, as prettily as an ocean hitting a shore. The title of “The Great Destroyer” and the involvement of producer Dave Fridmann seemed an omen of a conscious effort on the part of Low to change their path after years of releasing albums slow and blue. When a group’s music is so intuitive and established, surely the ideas of “growth” and “progression” can be dangerous, both for the group and the fans. At the same time, who couldn’t understand the desire to create something different? And when Low released Trust in 2002, some critics voiced discontent with the band’s formula: maybe it was time for Low to push forward a bit harder (try to ignore the image of Sparhawk holding Mimi’s hand as a baby pops out). Low skirt the issue with The Great Destroyer, its palette and construct not a growth or progression so much as an expansion, a widening of breadth in tone and emotion with a few additional dabs of color. There’s an apt sunny hue to a song like “California.” Even more striking is the willingness of the album to simply rock well, and it does so in a way that recalls the early work of Neil Young. “Just Stand Back” puts a pretty pop ditty atop a Crazy Horse arrangement; the electric guitar riff shoots out and lodges in the lobes, and the hook keeps it there. The sinister lyrics are the sort of approach that one would expect Low to so judiciously take: “Here comes the knife / You better just stand back / I could turn on you so fast.” In the refrain, Parker sustains the “fast,” and Sparhawk drops some perfect vocal lines into the gaps. While the first four songs of The Great Destroyer are fairly strong (particularly the hard drone of “Monkey”), “Just Stand Back” kicks off the really interesting second act of the album. The quiet titular swoon nestled in “On the Edge Of” reminds of the finest moments of the Low of yesteryear. Little Fridmann production flourishes and embellishments appear throughout the album (a little more delay on the guitar here, an egg shaker there), but his touch is most felt in the synthetic orchestration of “Cue the Strings,” which manages to maintain the band’s trademark elegance. Discussing these tracks in sequence shows a weakness in The Great Destroyer; its strengths don’t really congeal evenly, nor are the songs that compose it on equal standing in terms of effectiveness and success. Material could have been excised and rearranged into a tighter draft. 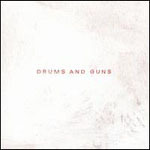 However, much the same can be said of many of Low’s albums, and that includes the well-respected Things We Lost in the Fire (2001). The thing that lifts The Great Destroyer just above an album like Trust is that it is more spirited: there’s a hint of revival here. 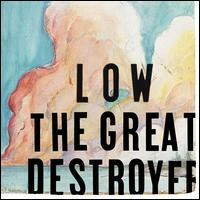 Disregard its title, for The Great Destroyer does not raze to the ground the musical foundations built by Low over the past decade. It adds a new wing. It does not pave a new road beside the path that the band pioneered. It simply blazes the trail a bit wider.